Extra strength powder coated steel hinges and latches for years of trouble free service and use. 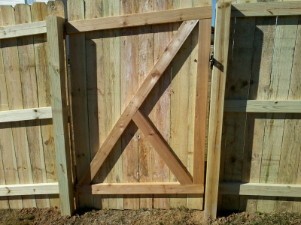 Cedar gate frames and rails are used for a lighter more warp and sag resistant gate. 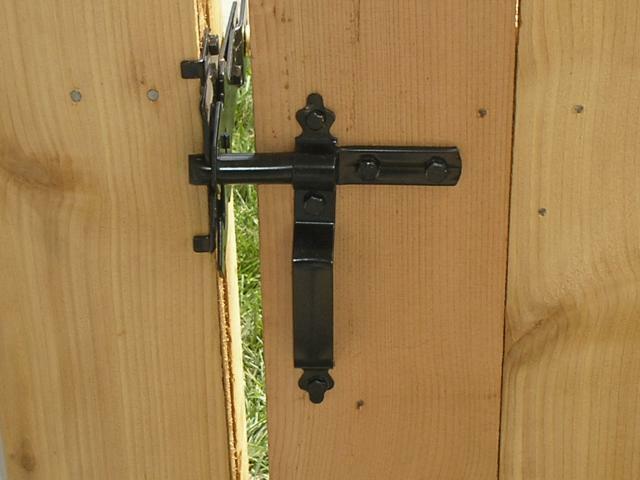 Alcovy Fence gates are constructed to last using time tested construction techniques and hardware. The gate rails and pickets are screwed together, not nailed, to last for years. Hardware opens and locks on both sides with an optional padlock. Gate posts are set a third of their length in the ground for strength and durability. All posts are set in wet mixed concrete. 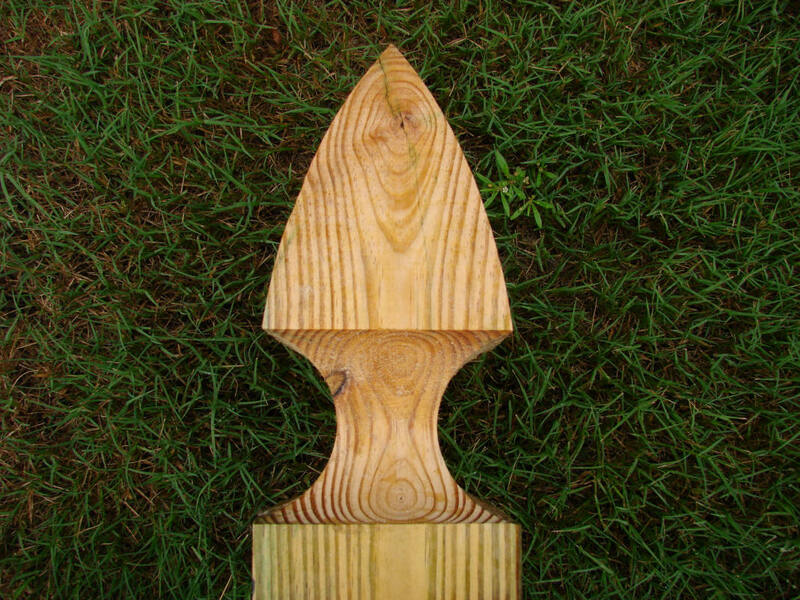 Optional 4 X 6 or 6 X 6 gate posts available in a flat top, beveled router top or Gothic design. Whether you choose a single walk gate up to 4' wide or a double gate up to 8' wide or any combination of gates, you will get years of trouble free service from them. For single gates over 4' or double gates over 8' wide we recommend the use of the Eliminator Gate Frame Kit. By using either cedar rails for the gate frame or the Eliminator Gate Frame kit, Alcovy Fence can offer a lifetime craftsmanship warranty on all our installed gates.